Heat olive oil in a large pot over medium high heat. Add the onion and and red pepper flakes and cook, stirring occasionally, until lightly browned around the edges, 8 to 10 minutes. Stir in the garlic and ginger and cook for another 2 minutes. Add the cumin, coriander, turmeric, salt and pepper, mixing well. Cook for another minute. Add the butternut squash and sweet potato and cook until softened, about 10 minutes. Stir frequently, scraping the bottom of the pot. Add the vegetable broth and bring to a boil, continuing to stir occasionally. Lower the heat, partially cover, and cook until the squash is very tender, about 20 minutes. Use a potato masher as the soup is cooking to break up the vegetables. You can adjust the consistency to your preference. For a rustic soup, leave some texture. If you prefer a smooth soup, puree using an immersion or regular blender. Just be sure to cool off the soup a bit before putting it in a blender. Taste for seasoning and enjoy. *A food processor fitted with the slicing blade makes short work of the task. 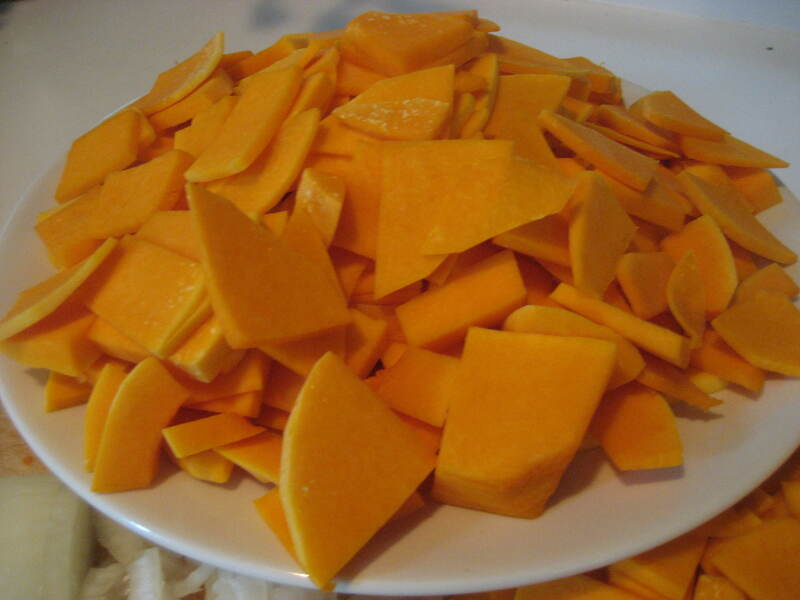 Cut the squash and potato into large chunks and feed into the food processor for slicing. 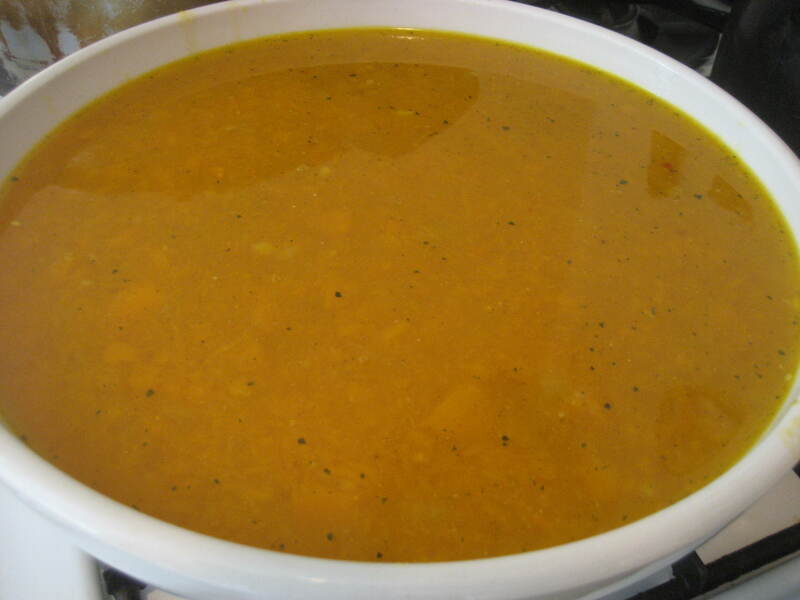 This entry was posted in gluten free, soups, vegan and tagged gluten free, soup. Bookmark the permalink.